Texas Tech University’s athletic program first introduced Firstbeat Sports in 2013 through the Women’s Soccer program. Since then, the school’s Softball, Tennis, Baseball and Volleyball teams have all begun using Firstbeat’s physiological analytics to boost performance and recovery. And, with Firstbeat Sports now available to over 500 student-athletes as part of the university’s brand new, $48 million Sports Performance Center opened in fall 2017, we sat down with Strength Coach and Sports Scientist, David Clark, to see how the technology is being used at the Division I level. This scientific approach has played a role in the Women’s Soccer team’s excellent form over recent years. The Red Raiders have qualified for the NCAA Tournament in four of the last five seasons and the 2018 season has been their best in three years. Texas Tech student-athletes need to be in peak condition as they compete at the highest level of collegiate sport. Effective recovery – and finding the balance between load and recovery – is a big part of this. QRT results are available to staff and players immediately and can inform decisions on individual and team training loads for the upcoming session. Essentially letting the student-athletes know when it’s time to push and when to hold back. The findings also help create a dialogue with players about how wellness and situations outside of practice impact recovery. Clark and his colleagues use Firstbeat Sports recently introduced Stress and Recovery feature – which utilizes the Firstbeat Bodyguard 2 HRV recording device – to evaluate the impact of life outside an athlete’s sporting commitments. QRT provides a snap shot of readiness in real time ahead of daily practices. The Bodyguard 2 device is often worn over a 24-hour or three-day measurement period and provides the big picture on stress-recovery balance, while highlighting decisions that positively, or negatively, impact an individual. “In a couple of our teams, we have players who don’t have very good sleep patterns,” Clark reveals. “So, we’ve had them use the Bodyguard 2 and we’ve been able to show them, ‘Look, it isn’t just you feeling this way. This is what is actually happening’. 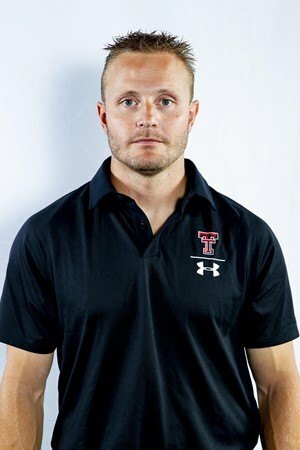 Freshman players will also wear the Bodyguard 2 “for three days during their first week so that we can get a base pattern showing what they looked like coming into our program.” For first year student-athletes, arriving at Texas Tech brings with it added responsibilities, expectations and competition. Inevitably, this can lead to added pressure and stress as young athletes try to perform on the field and in the classroom. Firstbeat real-time monitoring during training also plays a role in preparing Texas Tech players for game day. Tracking individual athletes’ Acute:Chronic workload throughout the season means Clark can identify trends amongst the squad. This can be particularly beneficial when a bench player is required to step into the starting line-up during the season. “We measure everything. Over time, we can see if players are still having trouble recovering between practice reps. Coaches can see how hard players are having to work to pass conditioning drills.